The Trickster is a classic character in myth and folklore around the world, often an anthropomorphic animal who deviates from social norms, an antiestablishment type tweaking the powers that be one way or another with mixed results. 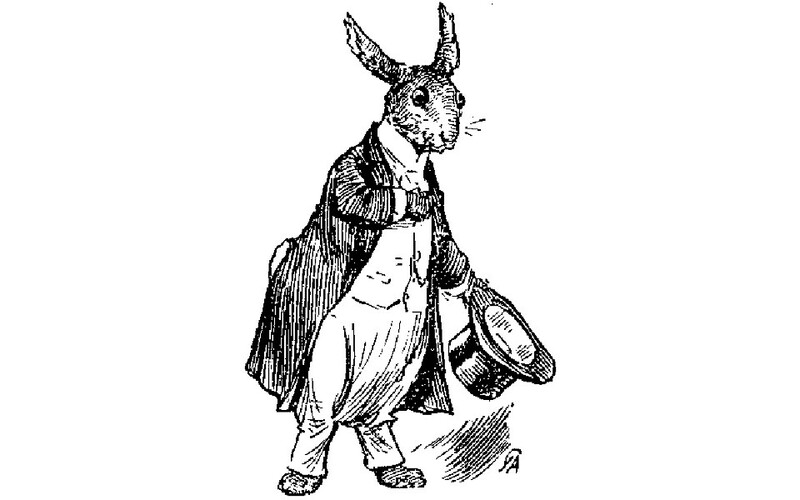 In African American folktales from the South he might be a rabbit, with Joel Chandler Harris' Brer Rabbit in the Uncle Remus tales the most famous of examples; in Native American cultures he's often Coyote or Raven. Boxtales Theater Company out of Santa Barbara tells a number of Trickster tales in Silly Rabbit: Tricksters are for Kids!, a collection of stories told with music, masks and movement including an adventure pitting Brer Rabbit against Brer Alligator, a story of Venezuela's Tio Conejo (Uncle Rabbit) and, closer to home, "Raven and the Man Who Sits on the Tide" from the Pacific Northwest. Matt Tavianini, Michael Andrews and Deven Sisler act out the tales in creature masks by Ann Chevrefils and Lindsay Rust. As noted on the Boxtales website, their ultimate aim is "to fire imaginations, inspire creativity, strengthen cultural pride, encourage tolerance and engage young people in the excitement and immediacy of live performance" -- all worthy goals, although simple family-friendly entertainment and plain old fun are equally important parts of the package. The "fun" factor is essential in Playhouse Arts' fifth annual Playhouse Family Fun Series, which kicks into gear this weekend with Boxtales Theater Company's Silly Rabbit: Tricksters are for Kids! Showtime is 7 p.m. Friday and Saturday, March 11 and 12, with a Saturday matinee at 2 p.m., all at the Arcata Playhouse in the Old Creamery at 1251 9th St.
Coming up in the PFF Series: Portland juggler/comic Rhys Thomas in Science Circus, a demonstration of Newtonian physics using juggling tricks (April 15 and 16), and Leland Faulkner from Maine in World of Wonder (May 27 and 28), a show weaving mime, movement, magic, mystery and hand shadows. Tickets for individual performances (just Silly Rabbit: Tricksters are for Kids! for example) run $10 for adults, $7 for children 12 and under, $30 for a family of four or more. Tickets for the entire series (all three shows) are $25 for adults, $20 for children. For more information on the show or the series call 822-1575 or go to arcataplayhouse.org.